Zeeshan Lakhpaty is a well known International Management Trainer and Facilitator having trained more than thirty five thousands of professionals in various countries including Pakistan, Singapore, Malaysia, Dubai, Egypt, Saudi Arabia, Sri Lanka to name a few. Zeeshan’s training experience includes a wide range of industries including FMCG, Manufacturing, Banking and Financial, Pharmaceutical, Engineering, Telecom, Information Technology, Automobile, Hospitality, Social Development and Oil & Gas industries. Zeeshan has added value to more than 150 leading multinational and local organizations through customized tailored learning interventions. Zeeshan has worked with companies like Nestle, Almarai, Toyota, Total Oil, Emirates Group, Abbott, Novo Nordisk, Schneider Electric, Abu Dhabi Group, Dubai Port World, Etisalat, Descon Engineering, United Nations just to name a few. Before joining the industry as full time professional trainer; Zeeshan has worked as an employee in various roles with big giants multinationals like Proctor and Gamble P&G, English Biscuit Manufactures EBM and Royal Bank of Scotland RBS which gives him an edge in designing practical learning interventions with transferrable workplace skills. 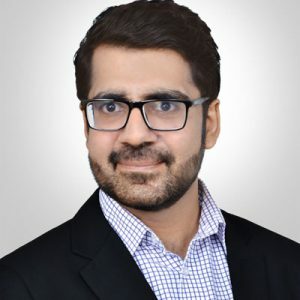 Zeeshan is known by all his clients as a trainer who puts all his heart, blood and energy in customizing and designing the best learning interventions to produce tangible results. Zeeshan is someone who stretches his clients to ensure that the learning’s are aligned with their business needs and audience expectations and job roles. Zeeshan is always on a mission to add maximum value to the organizations and the individuals. Zeeshan firmly believes that training must add significant value to the participants and the organizations. Zeeshan approach is to work in partnership with organizations, forming a relationship where there is a deep level of understanding of what will work best for them. Zeeshan’s programs reflect high quality, ambition, performance, experience while keeping excellence as a benchmark. Zeeshan’s ability to connect with the diversified range of audience, encourage quality participation, build strong link with the participants job role, provide practical tools with real time applications and stretch to increase their performance is a unique strength highly appreciated by all the participants. Zeeshan has conducted training programs through the Association of Professional Trainers Singapore, Facilitator’s Network Singapore FNS and International Coaching Federation ICF. Zeeshan has actively participated in the Round Table Learning of Asia Professional Speakers. Zeeshan was awarded as a best speaker by various Toastmaster International Clubs based in Singapore few of them including YMCA Toastmaster and Whampao Toastmaster International. Zeeshan successfully completed certification program on Training Need Assessment TNA Best Practices from Management Development Institute Singapore MDIS one of the leading institute based in South East Asia. Zeeshan regularly writes for DAWN as one of the prominent authors of the best workplace articles published in DAWN Advertiser.